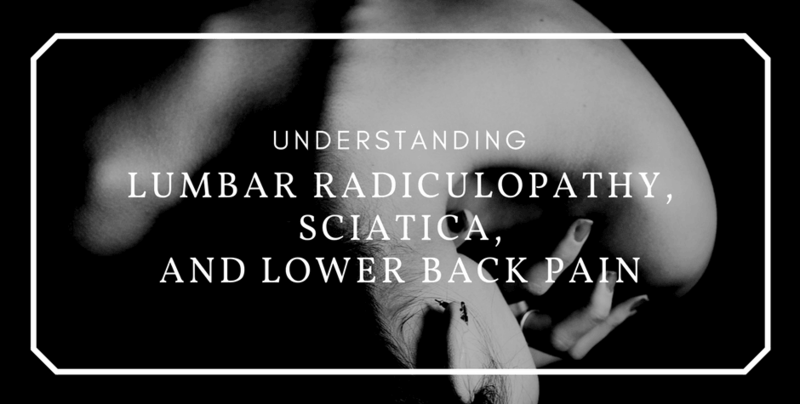 What do lumbar radiculopathy, sciatica, and lower back pain have in common? Other than pain, these conditions originate from the back and causes pain throughout the lower body area. As people get older, normal wear and tear to joints, discs, and bones becomes noticeable. Thus, back pain is common among older people. 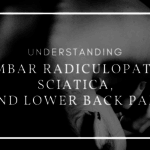 In this blog, we will focus on radiculopathy and sciatica. Causes of lower back pain include radiculopathy – a condition caused by the compression, inflammation, and/or injury to a spinal nerve (Low Back Pain Fact Sheet). Sciatica is a form of radiculopathy, where the sciatic nerve gets compressed (Low Back Pain Fact Sheet). If you experience pain that occurs on one side of the buttock or leg, it is possible that a sciatic nerve is compressed (Hochschuler, 2016). To begin, radicular pain may come with numbness and tingling, muscle weakness, and weakened reflexes (Ben-Yishay, 2012). This type of pain usually occurs in the thigh and calf, and sometimes the foot (Ben-Yishay, 2012). A cause for radiculopathy includes foraminal stenosis – which is the narrowing of the hole of spinal nerve exits, common in elderly adults (Ben-Yishay, 2012). In addition, diabetes, nerve root injuries, and scar tissue from previous spinal surgery can be causes of radiculopathy too (Ben-Yishay, 2012). It is recommended to begin with non-surgical treatment such as physical therapy, medication, and/or spinal injections (Ben-Yishay, 2012). If it is unsuccessful after six to eight weeks, surgery would be needed (Ben-Yishay, 2012). Sciatica nerve pain is pain that occurs usually on one side of the buttock or leg, worsens when sitting, and can cause weakening and numbing of the leg, foot, and toes (Hochschuler, 2016). People also have sharp pains that shoot through the leg, and can be felt as burning, tingling, or searing (Hochschuler, 2016). Sciatica pain is most likely developed around age 40 to 50, but a particular event does not cause sciatica (Hochschuler, 2016). Fortunately, many people are able to recover from sciatica through non-surgical means. Non-surgical treatments for sciatica include strengthening, stretching, and low-impact aerobic exercises (Hochschuler, 2016). Although rare, but still possible, sciatica may require immediate medical and/or surgical intervention (Hochschuler, 2016). Generally, back pain is more common among those who are not physically fit (Low Back Pain Fact Sheet). If you are looking to start being active for back pain prevention, low-impact aerobic exercise is an extremely beneficial exercise for maintaining the integrity of spinal discs (Low Back Pain Fact Sheet). 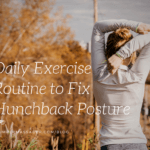 Poor posture contributes to a weakened spine, so sit up straight and strengthen those back muscles!